Widely used by law enforcement, military and security personnel, the tonfa is a capable self-defense weapon and, now, Night Watchman has updated and improved the original design! The Tac-Tonfa Baton has a solid, one-piece injection-molded polypropylene construction and features tactical recessed grooves. The ridged, secure-fit handle gives you a rock-solid, no-slip grip and it features a glass-breaker on the pommel. 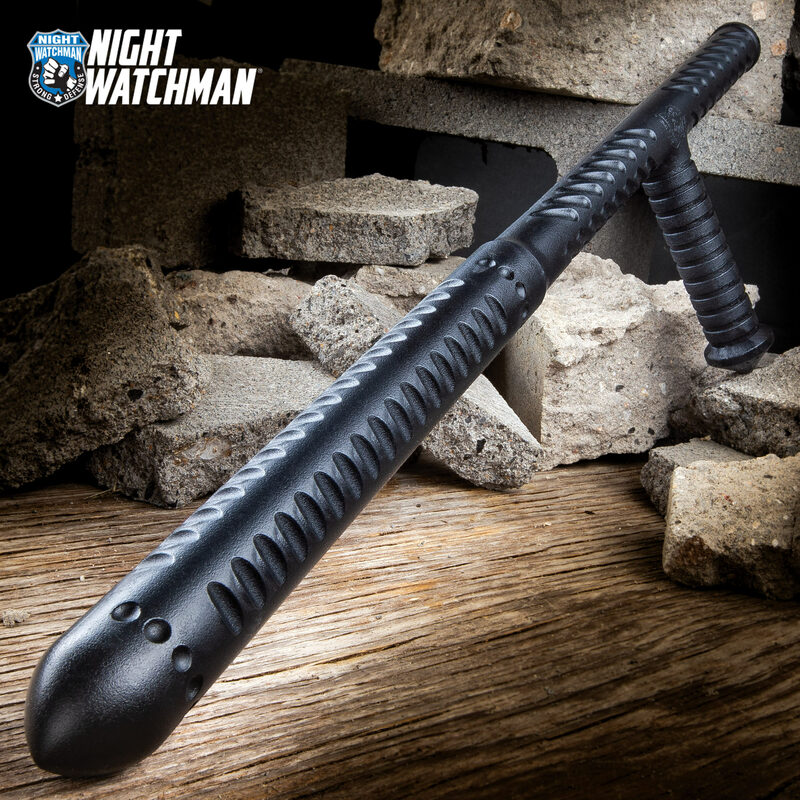 Strike, pry, jab and breach just like a professional with the Night Watchman Tac-Tonfa Baton.